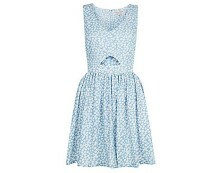 Skater dresses are a girl’s best friend, they are super easy to wear and style and incredibly figure flattering. There are many designs of skater dress available on the market but this dress offers a real statement with its eye catching cut out sides and soft velvet fabric; the ultimate stand out of a crowd party dress for any girl! The design is a classic skater style with a fitted bodice and free flowing skirt but the stand out feature on this design is the eye catching cut out sides, long sleeves and luscious velvet fabric. The concealed back zip completes this classic meets contemporary style. 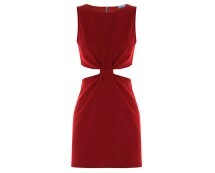 The dress is incredibly comfortable to wear and will flatter all shapes and sizes too.